I’m curious to know if the akm mags could work in the sks in real life. 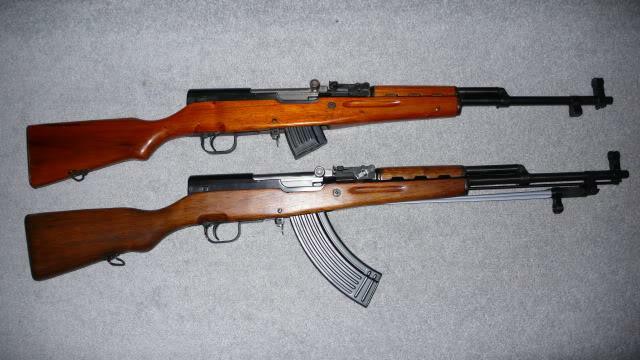 If so I would love to see some more choices for the sks as 10 rounds might not be enough. Also in the game “insurgency” the sks uses magazines. They don’t the SKS requires specific aftermarket magazine or an adapter and some modifications it and its not realistic tbh. Because you need to weld as well as cut and grind pieces off the gun it requires more than just hand tools. And the after market magazines are gimmicks at best they work horribly. Well they already have the workshop building!!! so i dont see why they cant add weapon modding in game in?! But thanks for the explanation. It’s not that realistic to find the necessary adapters (the ones that require all the milling and fitting for each individual rifle) lying around Chenarus when they are exceptionally rare in real life.